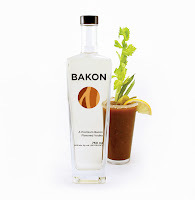 Devoid Of Culture And Indifferent To The Arts: Booze of the Day: Would Bacon Flavoured Vodka be a breakfast food? 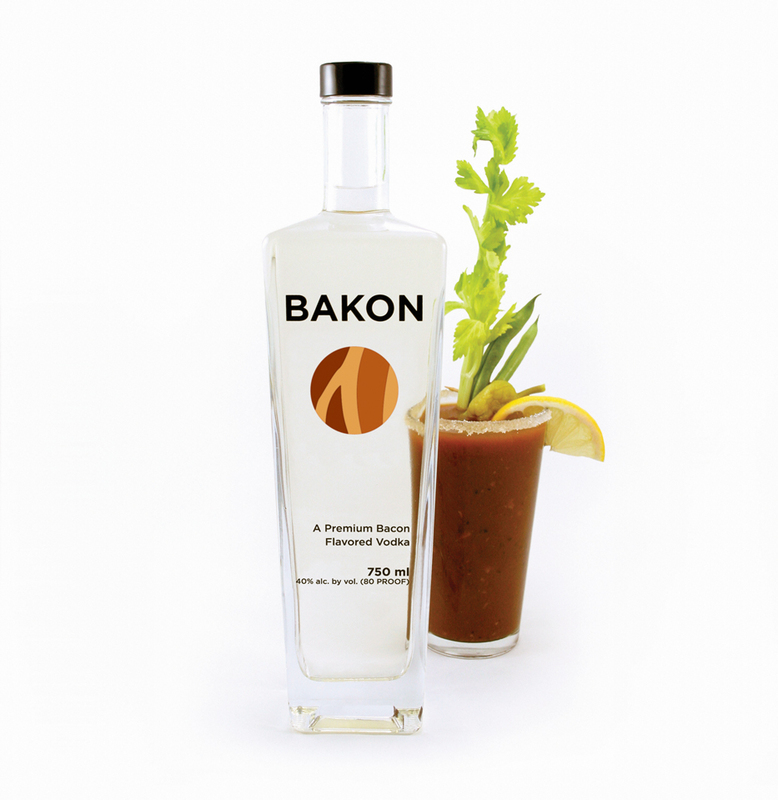 Booze of the Day: Would Bacon Flavoured Vodka be a breakfast food? So file this under weird. If anyone’s feeling adventurous they can try it. I might..all depends how I feel. 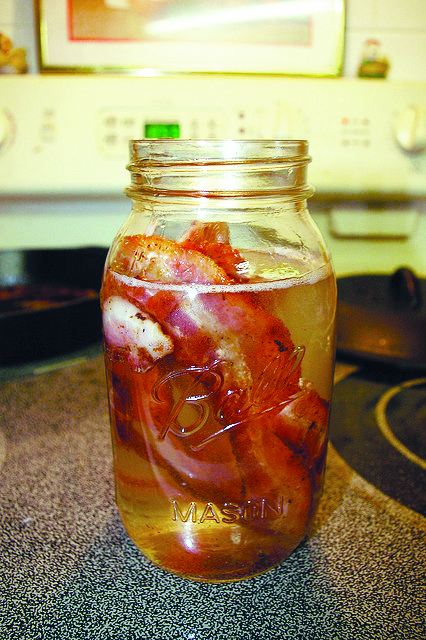 This is for bacon flavoured vodka. Yes, you read correctly. It might be quite good with tomato in a Bloody Mary or Motts® Clamato in a Caesar… Hmmmm. I suppose that anything you have to remove “congealed fat” from can’t be all bad. In my virtual travels I have learned the result is a pale yellow coloured liquid. A company produces it commercially in the USA and sells in many states. This is the site: http://www.bakonvodka.com/ There is a map on the site of where it is for sale. I would suggest you go purchase some this weekend. They have several cocktail recipes there as well. I hate to admit it, but the cocktails sound a little interesting. The image at left is a product shot from their site. Actually, the longer I type, the more I think I’ll make some. 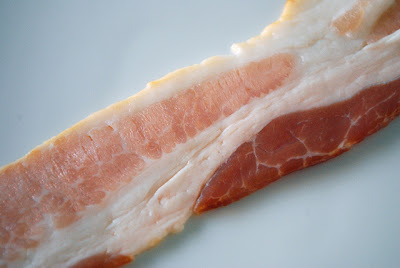 Break the bacon into pieces and place in a clean container. Add crushed peppercorns. Add the vodka, cover and place in a cool, dark place. 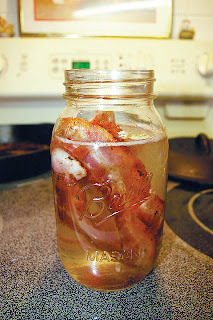 Make sure the bacon is covered with the vodka. Refrigeration is unnecessary. Strain the vodka through a coffee filter, which will remove the cooled fat. So there you go. If anyone tries it, let me know. Or I'll post an update if I screw up the courage and do it!! ADDENDUM: I have a batch on the counter now. In 3 weeks I'll update! UPDATE: It worked very well. I now have an amber coloured clear liquid that smells ever so slightly of bacon. All the fat was easily strained out after chilling. It will make fine Caesar cocktails as soon as the weather outside cooperates! If you like this (short) post, retweet it using the link at top right, or share using any of the links below.